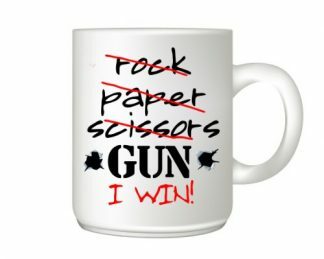 What’s another unique gift to give to gun lovers? 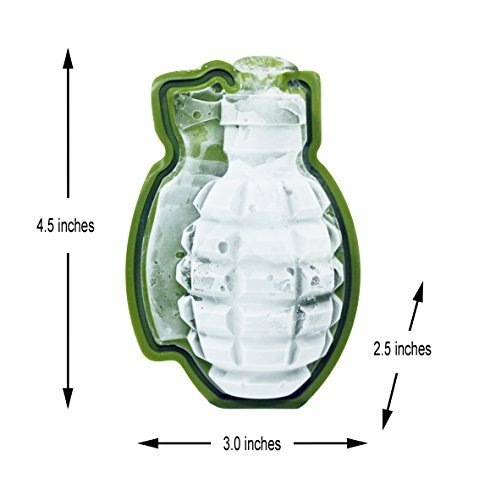 Here it is: a silicone-made hand grenade ice mold. 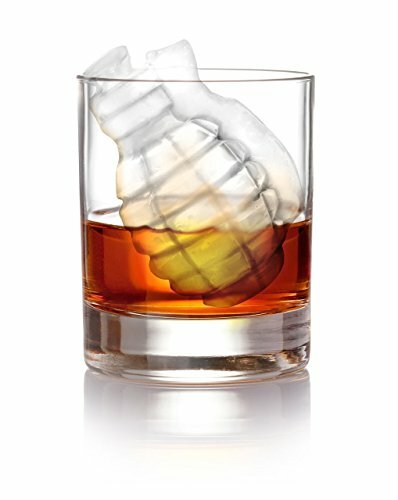 Yes, it’s totally real and makes any hard liquor drink looking and feeling über cool. It’s big but not too big, eye-catching, and doesn’t water down the drink as it lasts longer than its normal-sized counterparts. So go on ahead and drop a bomb of a gift! Fire in the hole! 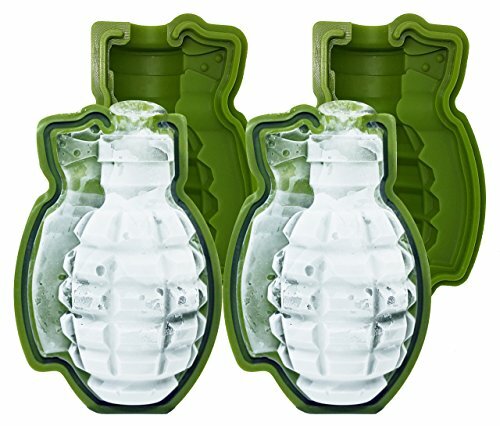 Look out here comes these gigantic ice molds that will sure to make any party and gathering a hit! 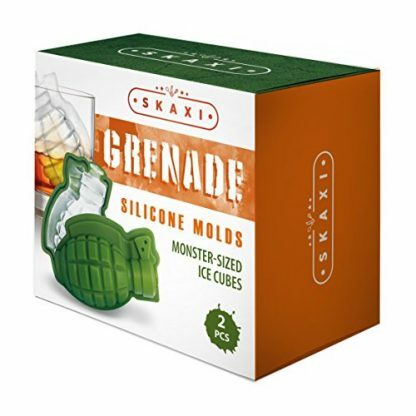 These 3D Grenade Silicone Molds from Skaxi create life sized grenade shaped ice cubes that is perfect for any drink. These life sized and incredibly detailed grenade molds are effective in keeping your drinks chilled longer, without watering it down. Skaxi even ran tests that showed that these monster sized ice cubes can last up to 600% longer than those regular sized ice cubes. It is the perfect ice wizard. These silicone molds are made with premium quality food grade, bisphenol A or BPA free silicone material that is odorless, flexible, leak proof, and does not easily crack and stain. 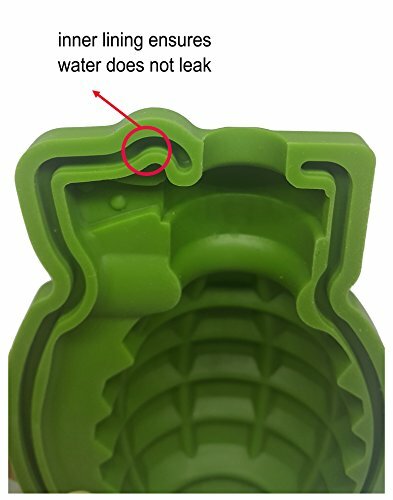 It has a melting point of 200°C and a freezing point of -40°C, making it safe for use in the dishwasher, the oven, and the freezer. Its large ice capacity fits most glasses and can easily fit inside any freezers. 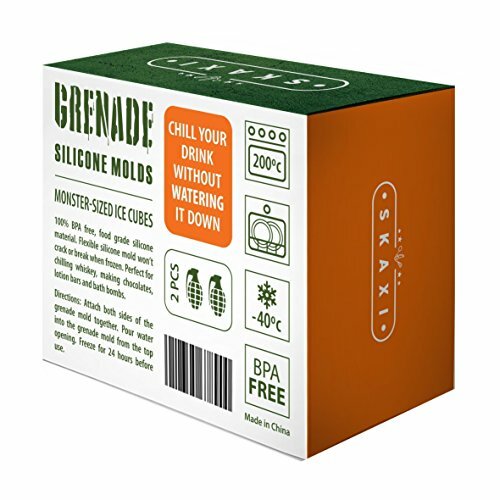 Each grenade mold can hold up to 135 ml of liquid and will also work great with any bath bomb and soap making kits. 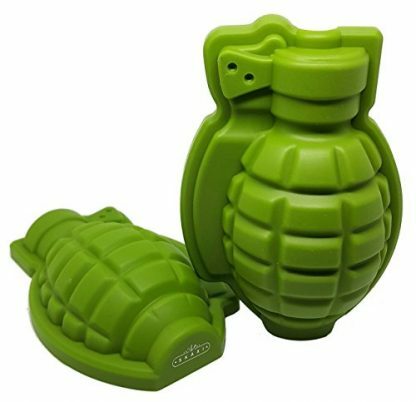 These grenade molds are perfect not only for making statement ice cubes, but can also be used as molds for making breads, cake decorations, chocolates, soaps, bath bombs, and even lotion bars. 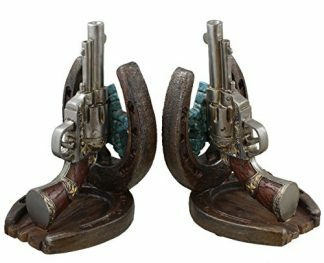 This product also comes with a 100% lifetime warranty that will surely be appreciated by anyone who gets to own these babies. 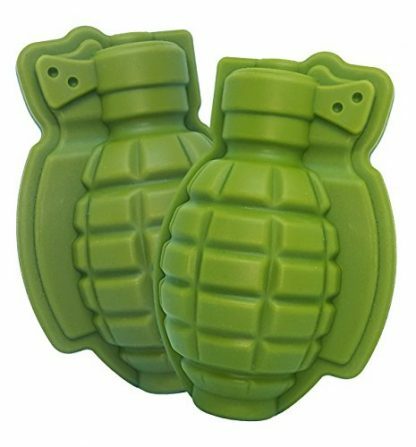 These 3D Silicone Molds are also a fun and unique gift. 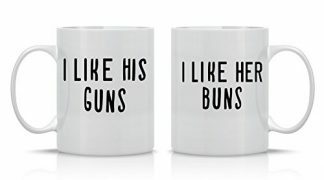 It is a novelty item that will surely be enjoyed by action loving, gun enthusiasts, bakers, and crafters alike.